marine wildlife in a photo safari and cosmopolitan cities. Park to Patagonia and Bariloche to the sophisticated cities of Santiago and Buenos Aires - an outstanding adventure awaits our small group. Pre and Post trip extensions are available to Atacama Desert, Chile Wine Country, Iguassu Falls and Rio deJaneiro. Asian Odysseys, with our world renown partner, has crafted a journey replete with gorgeous sights and fascinating excursions for our very special guests. Join with us to explore Chile and Argentina's Patagonia together. JANUARY 13 (SATURDAY) - ARRIVE SANTIAGO, CHILE. of the Andes Mountains, the Chilean capital is regarded as one of the most modern and safest cities in Latin America. We will explore Santiago to see its mix of old and modern architecture. Also visit the Bohemian quarter of the city and the house of famous poet Pablo Neruda. We will cross the coastal mountain range to first visit Quintay Winery to taste wines and a 5 courses lunch at the vineyard. arrive to the city of Viña del Mar, the highly-visited resort of the zone. market of Angelmo. Continue to Puerto Varas- the City of Roses. HOTEL PUERTO VARAS sits on the southwest banks of the expansive Lake Llanquihue, which offers commanding viewsof snow-capped Osorno Volcano and Calbuco Volcano, both still active. Traditional German-style architecture characterizes the town, reflecting its colonial past. Lunch at the hotel restaurant. Later visit Church of Puerto Varas and the main square. navigation through ‘Nahuel Huapi Lake. Upon arrival transfer to LLAO LLAO HOTEL AND RESORT. Explora Patagonia is located at the center of the Torres del Paine National Park, the heart ofPatagonia, on the shores of Lake Pehoe. It has breathtaking views of the Paine ridge and the granite towers. rivers or various exploration drives. Today we drive back to El Calafate, Argentina- XELENA HOTEL, LAKE VIEW ROOMS. channel is a unique experience. 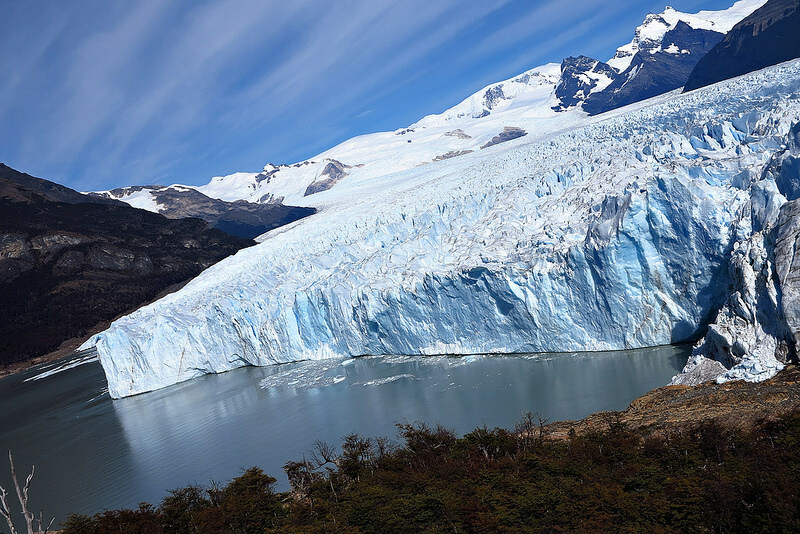 Walk along the footpath to view the Glacier from different viewpoints. Argentino to the Upsala Canal, where we find a spectacular Ice Barrier. From there we will have a panoramic view of Upsala Glacier. our last point of visit. Fly to Buenos Aires this morning. Drive to the airport for a flight to the elegant city of Buenos Aires. PARK TOWER HOTEL. modern Buenos Aires or enjoy a Gondola ride Venice style!. from a platform accessed by an elevator. (Valid multiple entry visa for Brazil is required). OPTIONAL- A 10minute helicopter ride over the falls- approximately $150 per person. Service Station, and 100 meters of downhill steps ahead to reach the floating platform where the second part of this ride begins. walk you through different lookout points before Lunch. Transfer back to your hotel. Transfer to AR or BR side airports for flight to Buenos Aires or Rio De Janeiro. flight to Rio De Janeiro. Upon arrival transfer to your hotel HOTEL MARRIOTT COPACABANA or BELMOND COPACABANA HOTEL. Full day city tour of Sugar Loaf and Corcovado with English speaking guide. passing through the lush forest of Tijuca, one of the largest green areas of forest preservation in the world. you will be taken to the neighborhood of Urca where it is located one of the largest symbols of the city: the Sugar Loaf. Cruz fortress and some beaches of Niterói. Full day at leisure to enjoy Rio on your own. Please contact Asian Odysseys, Ellen Mayer at: asianodysseys@gmail.com for further information and pricing. We offer complete flexibility in arranging your International and internal flights as per your wishes, preferred routing or airline. details, tour leadership, costs sequence of cities visited or even number of nights in each city as advertised can change due to change in logistics at the time of travel. Prices are subject to change without notice. We reserve the right to provide alternate hotels if mentioned hotels become not available for any reason. If for any reason beyond our control, scheduled flights or airfares are changed, any increase in airfare will be collected from tour members, and any decrease will be refunded. The airlines used are not to be held responsible for any act, omission or event during the time passengers are not on board the aircraft. Neither Asian Odysseys Travel , Worldview Tours nor its agents/ associates accepts liability for any airline cancellation penalty incurred by the purchase of a nonrefundable domestic or international ticket to the tour departure cities and return. Baggage and personal effects are the sole responsibility of the owners at all times.